New Tricks....who are they we hear you ask? 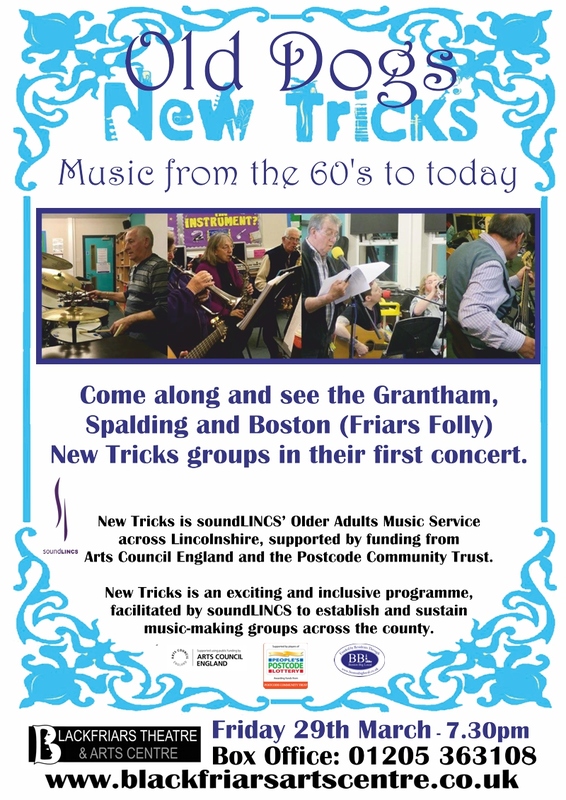 Well New Tricks is soundLINCS’ Older Adults Music Service across Lincolnshire, supported by funding from Arts Council England and the Postcode Community Trust. It is an exciting and inclusive programme, facilitated by soundLINCS to establish and sustain music-making groups across the county. 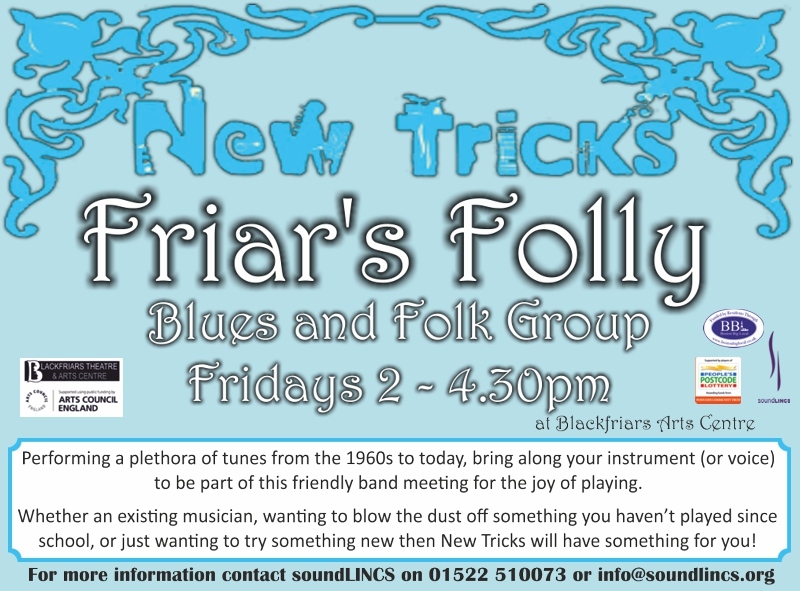 At Blackfriars we have a New Tricks group who have called themselves 'Friars Folly' and they meet every Friday to practice their Blues and Folk music. It's a chance for old and new musicians to brush up on their skills or learn something completely new. 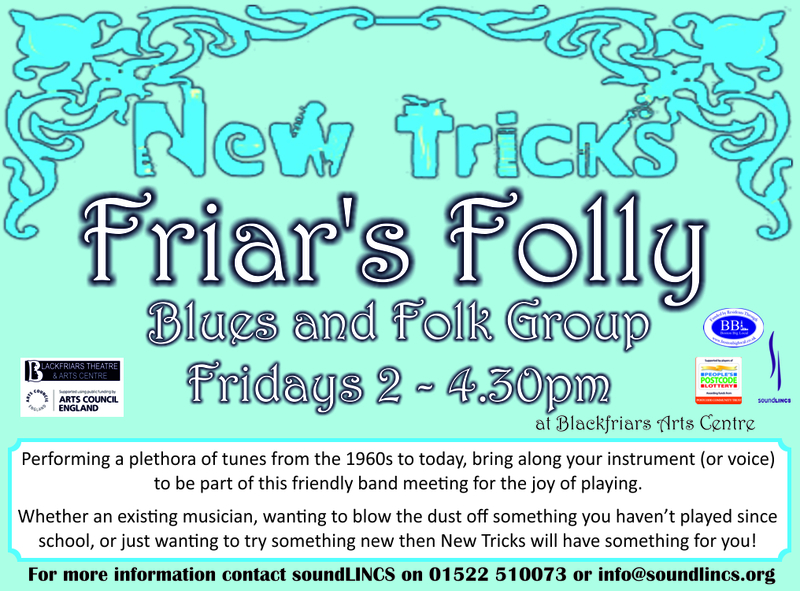 “Friars Folly are a vibrant group of friendly musicians and singers and, as always with the New Tricks groups, I am greeted with warm smiles as though I am an old friend. As the group tune their instruments and warm their voices I am given a tour of Blackfriars state of the art theatre and dance studio. It is evident that the Boston community really value this historic space and are using it to its full potential. Friars Folly use a range of instruments and vocal styles to bring to life some true classics and I can see and hear that all the participants get a lot from these sessions. On the day I visited the group treated me to renditions of songs such as California Dreaming, I’m a Believer and Brown Eyed Girl, along with several others. There is some great banter to be had along with the serious nature of learning new instrumental and vocal parts. Not all participants are life-long musicians, with many discovering the joy of playing relatively recently including beginners. With this in mind, the group take their time with new material and practice pieces with a view to help all improve their playing whilst still keeping it enjoyable. 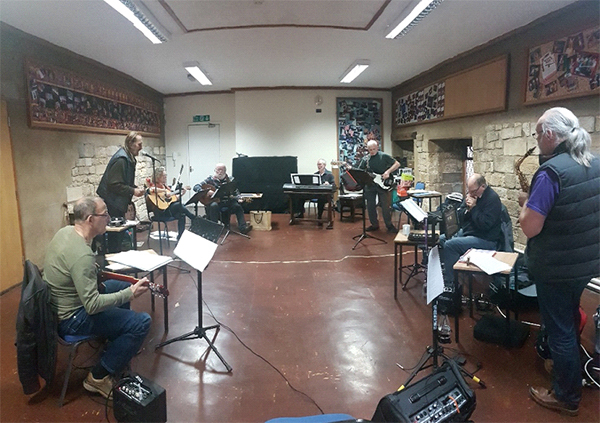 soundLINCS Music Facilitator Cliff leads the group, injecting new song arrangements that enable all participants to join in, whatever their learning style or instrument. Players take it in turns to sing the lead vocals whilst others join in with the chorus. 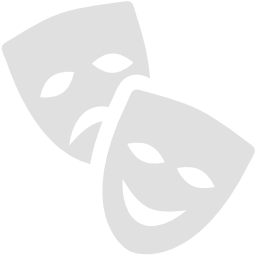 One participant writes original songs which are embraced by the group, and all enjoy coming together on a weekly basis to spend time learning and developing their skills with like-minded friends. The group are proud that as a constituted group they have been able to secure some funding to help them cover the cost of the sessions. It is with thanks to Boston Big Local that the group will be able to continue in their current format and develop their skills further. 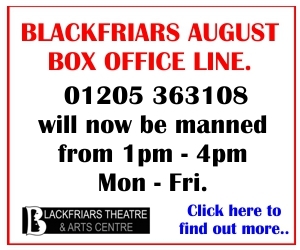 Friars Folly meet at Blackfriars Theatre - Every Friday 2pm – 4.30pm. They will be performing their first ever concert along with the Spalding and Grantham groups at Blackfriars on Friday 29th March at 7.30pm. Click here to read more and to purchase tickets.